Every time that I eat out with my family, we always look for restaurants that serve Filipino dishes. One of them is Gerry's Grill. It has been one of our go to restaurants not only for my family, but also for my friends. 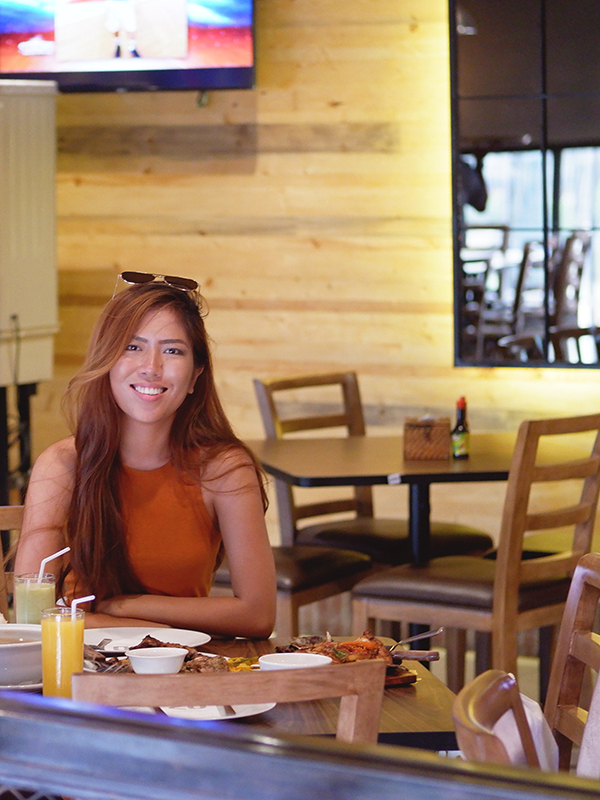 Their variety of Filipino dishes with the best value for money has made us come back to Gerry's Grill often. Gerry's Grill has opened in most parts of Cebu City, but just recently they opened their newest branch at Island Central Mactan. This is not only good news to those who are living in Mactan, but also to those who go there for vacation or are tourists who want to experience Filipino cuisine. Gerry's Grill in Island Central Mactan has 2 floors, which indeed caters a lot of people at the same time. Their friendly staff catered and accommodated us well during our time there. The place was well kept and the interior had great ambiance. Perfect for dining with your family, friends, or loved ones! Jesse was with me when I visited Gerry's Grill in Island Central Mactan. Ordered my usual favorites! Sinigang na Hipon, Sizzling Bangus, and Inihaw na Manok. Usual serving size is good for around 2-3 persons. As for dessert, we ordered the Banan split, which is the favorite, and Turon Con Yema. Gerry's Grill Mactan will be having their grand opening on July 18. This Gerry's Grill branch is located at the ground floor of Island Central Mactan. Visit their facebook page to know more about this place.